Drawing international attention to themselves starting from their self-released debut album titled Move in 2009, the Italian reggae band Mellow Mood quickly shot up the charts with their two tracks “Only You” and “Dance Inna Babylon,” scoring an impressive ten million views on YouTube alone. Two years of intensive touring followed before heading back into the studio to record their 2012 album Well Well Well under the powerhouse Italian indie label La Tempesta. The Italian brothers L.O Garzia and Jacob Garzia are back at it again, releasing their latest installment in 2015 titled 2 The World. 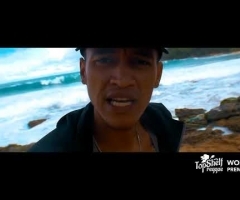 To celebrate the album release, Top Shelf Reggae is premiering the new music video for the track "Criminal", featuring Andrew I. For more information about Mellow Mood, visit their website at http://www.mellowmoodmusic.com/ or give them a follow on Facebook. Upcoming shows for "Mellow Mood"